SOUTHERN AND WESTERN EXPOSURE WITH LARGE CYCLORAMA 4500 SQF. Our spacious and versatile South Studio is bathed in natural daylight from the south, east and west exposures, with large windows overlooking the Hudson River and Manhattan skyline. 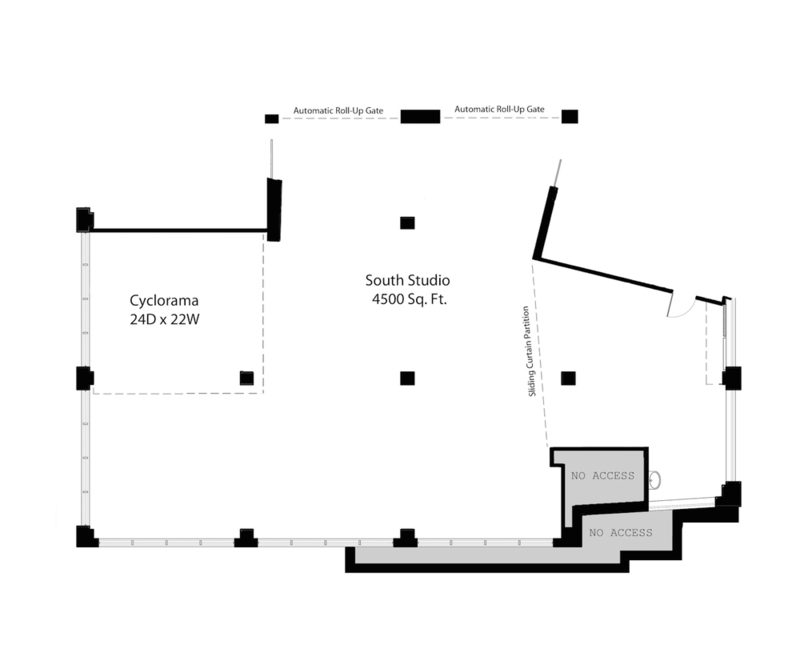 Featuring 16’ high ceilings, hardwood floors, a large cyclorama, black out capability and access to our shoot-in kitchen, South studio can accommodate a wide variety of specialized photo and film shoots. On site and location packages.